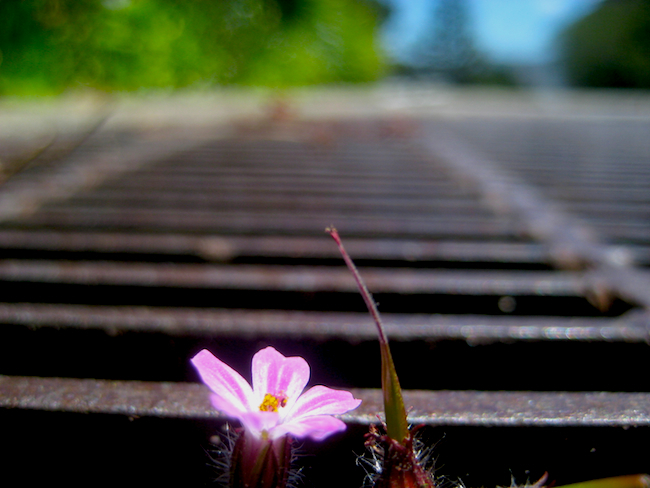 This entry was posted in Photography and tagged bloom, nature, outdoors, photography, postaday, spring, tenacity. Bookmark the permalink. That is an inspirational juxaposition w/ life rising in the gutter (or?). The little bloom that could!